¡Nuestro nuevo espejo con sensor compacto te ofrece la confianza del sistema de luz tru-lux sobre la marcha! El sistema de iluminación tru-lux simula la luz solar natural, permitiéndote ver la variación completa del color para que sepas cuándo tu maquillaje tiene el color correcto y está impecable. El aumento x 3 te ofrece una visión hiperclara de cada detalle. El sensor enciende la luz automáticamente cuando sacas el espejo de su funda y la apaga cuando lo vuelves a colocar en la funda. El botón de encendido te permite alternar entre los ajustes de brillo de 650 y 300 lux. Un asa tipo anillo plegable te ofrece seguridad y comodidad a la hora de sujetar el espejo en la mano o se puede utilizar como base para colocarlo en una superficie; incluye una correa con broche que mantiene el espejo seguro dentro de la funda. El espejo es recargable y una carga puede durar hasta 1 semana según el típico uso diario. 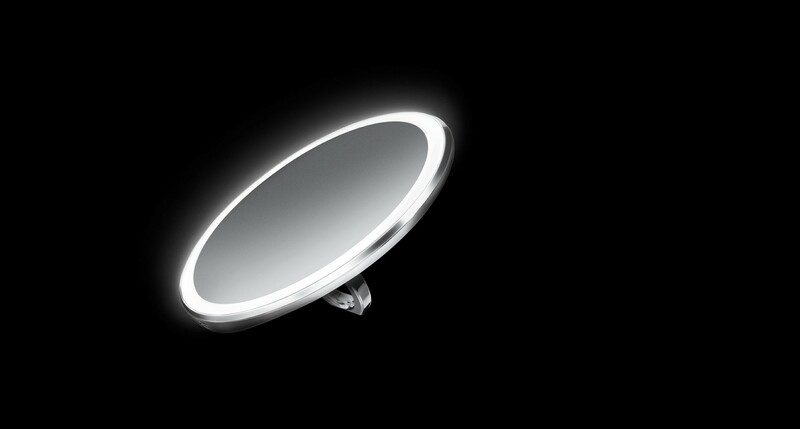 Nuestra más reciente adición a la gama de espejos con sensor te permite llevar contigo el magnífico sistema de luz tru-lux vayas donde vayas. ¡Siéntete a gusto con tu look allá donde vayas! La luz se enciende automáticamente conforme sacas el espejo de su elegante funda de transporte y se apaga cuando lo vuelves a guardar. El espejo es recargable y una carga puede durar hasta 1 semana según el típico uso diario. Ofrece el equilibrio perfecto entre la hiperclaridad y una generosa vista general. Con un aumento de tres, no te perderás el más mínimo detalle y podrás ver tu rostro lo suficiente como para comprobar que tu look es total. Sujétalo, llévalo encima o colócalo en algún lugar. Es ergonómico y seguro. I bought this mirror for my girlfriend and she loves it. The only complaint from her was battery not lasting as long as she wanted. 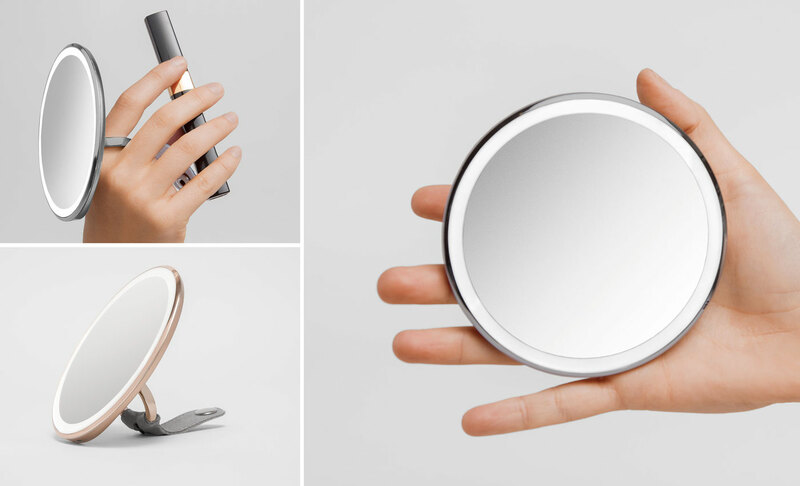 Based on average daily use, this mirror should last up to a week on a single charge. The mirror charges very quickly as well with the included micro-USB cable. 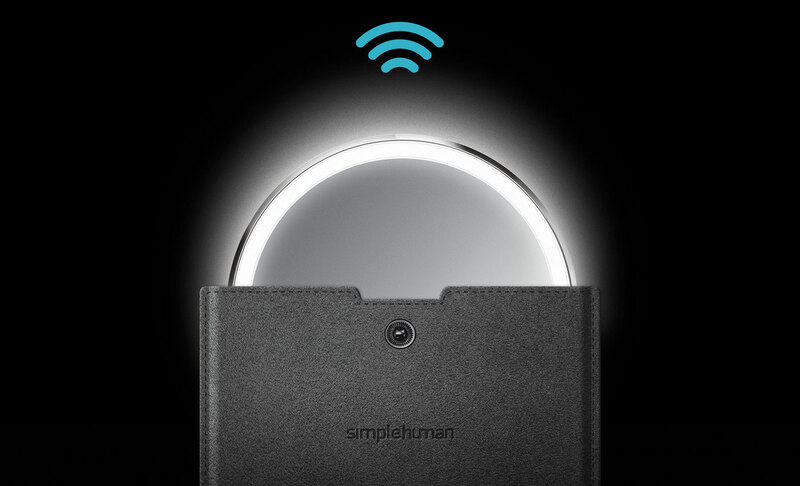 I bought 10 compact sensor mirrors for family members and employees. They all love them. 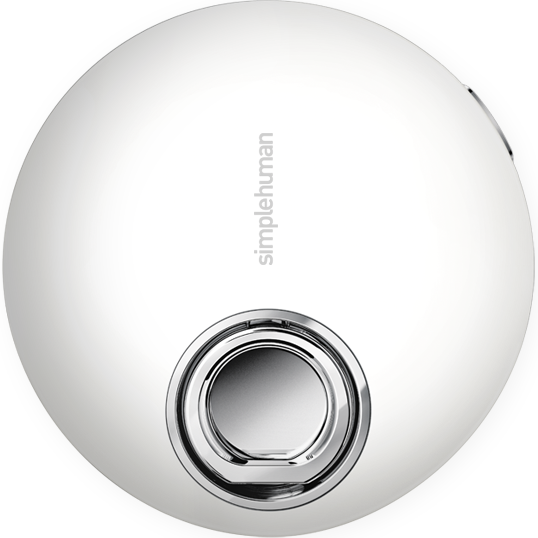 Only comment so far, they can not view the whole face at one time, is there any chance Simplehuman would make an oblong compact mirror? Gives a more natural light to use while applying makeup great for your daily skin care rountines. You can defiantly see every pore on your face. I love that it’s compact and easy to charge. Bought this for Mothers Day and she loved it. The lighting and finger hold make this a great product. I love this mirror. I use it mostly for traveling so that I have one on long flights and when dressing in the morning. It is versatile and easy to carry. I find this tiny thing perfect for travelling but the magnification could be a bit better ( not the best for a person that needs close up correction glasses) Beautifully, smartly presented. Dont get me wrong, i love this mirror. When it actually works. I purchased one for myself that works great, and one for my moms birthday. She opened her gift today and i put it on the charger in hopes to show her how it works and the impressive bright like a magnification... and what do i get? A faulty compact that wont that wont turn on what so ever. Pretty embarrassing when the gift you got for someone refuses to work. We have been in contact with this customer and replaced their product with a brand new one. Better than expected and I expect a lot from simple human! my wife loved the compact mirror which she received for Mother's Day. I absolutely love this mirror. Perfect size. Love that it comes on when pulled out. Holds a great charge. My husband I carpool to work and 99% of the time I put my makeup on in the car. The mirror is the perfect size for your purse and the lighting is perfect when your trying to put your makeup before the sunrises. The mirror also makes a great gift for any lady. Seems like it could be better. Great magnification and lighting. Love the compactness and handle but the light doesn't stay on long enough to finish a single makeup look and the battery dies after 1-2 uses. Not sure if I got a bad one but I feel the light should stay on longer than 5 minutes or until I turn it off. The 3x magnification, the compact size, and our tru-lux light system combine in a single mirror that offers a hyper-clear and color-correct view for those on the go! The new smart shut-off feature turns the mirror off when it slides into the sensor pouch or after 10 minutes. 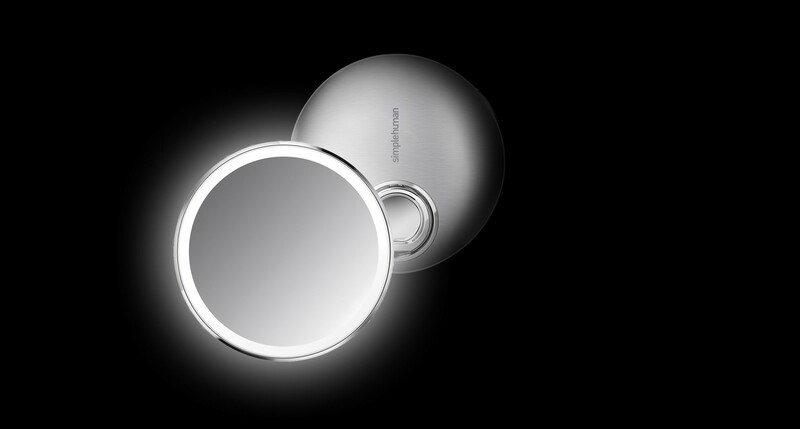 The mirror charges quickly and lasts up to 1 week based on average daily usage. 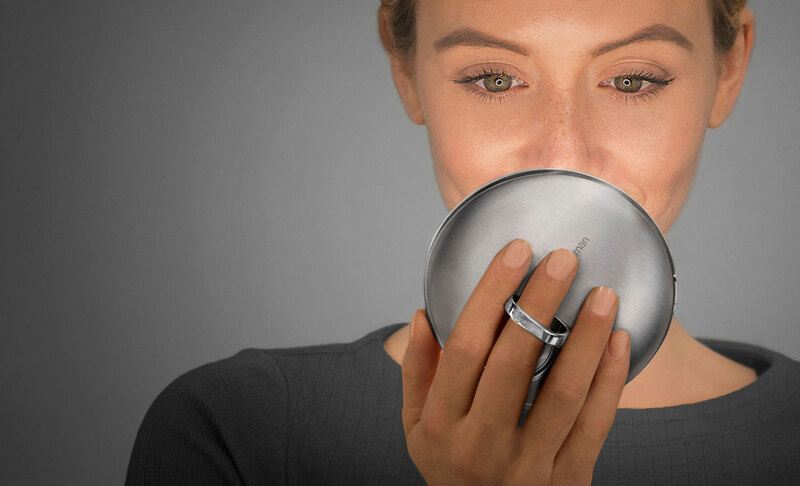 The compact mirror provides you with the confidence that any makeup maintenance or touch-ups throughout your day match the look you started off with. Easy to use, easy to transport, easy to hold. I`m quite satisfied. The light on the mirror is very good, as is the quality of the image/glass. It's just on the border of being too large to keep in your purse but it's a great mirror for travel. Perfect for me on the go : A single overworked mom and teacher with poor eyesight. I love my new lighted compact mirror. The 3x zoom is helpful for makeup application. It fits into my purse easily. It seems to hold a charge for a week too. Good purchase. really cool idea whose time has come! my only issue is the "automatic on" function doesn't seem to work, I have to manually turn it on. but otherwise it's great!! 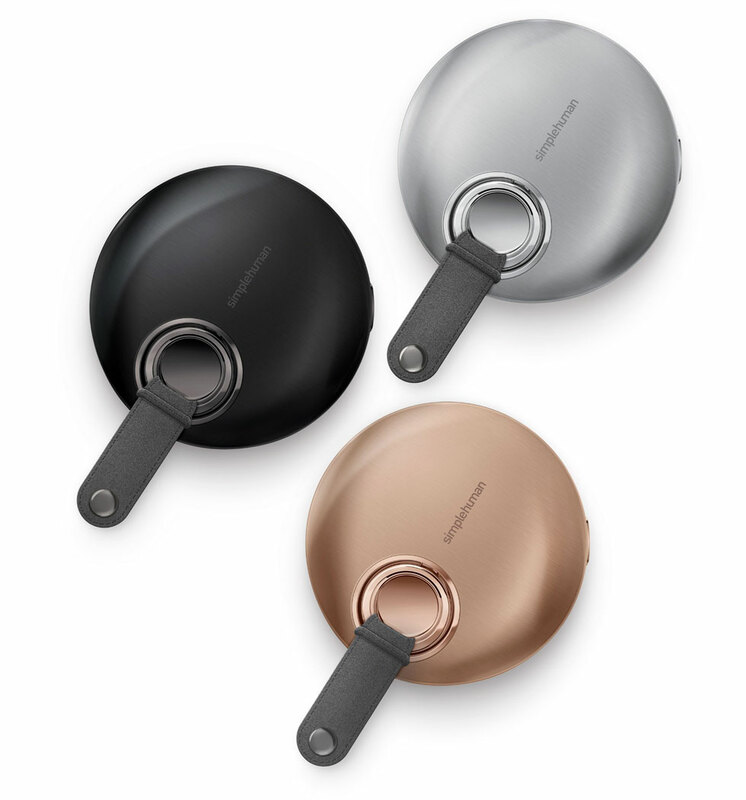 The design of the pouch and mirror automatically turns the light off when the product is completely inserted into the pouch and turns back on when the mirror is pulled out. 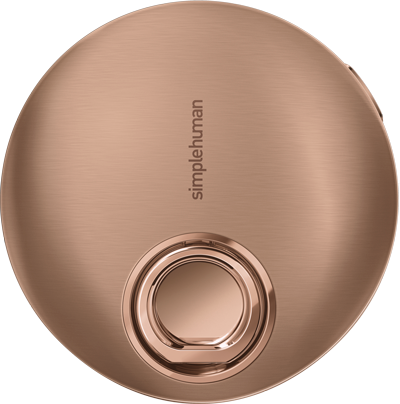 When using the mirror without the pouch, simply use the power button to turn the unit on and off manually. If you power the mirror off and then slide it into the pouch, it will stay off even when you pull it out. I love this compact mirror, lightening is just like my counter mirror. The ring on the back is nice to have also for holding. The reason I gave it four stars is because for the price of it I really felt that it should also have the plug-in for recharging. Thank you for your feedback. In an effort to be more eco-friendly, we decided not to include a USB wall charger with this mirror. The mirror's micro-USB cord is compatible with any universal USB wall charger which are commonly used with smart phones and other rechargeable products. 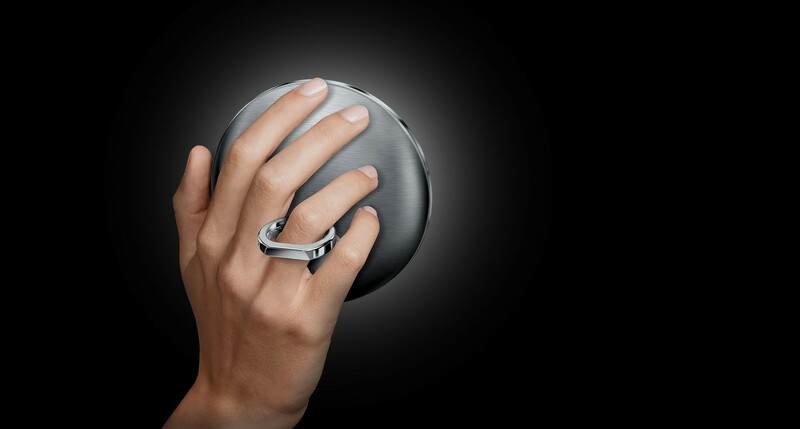 The ring handle fits perfectly around your finger which is great for when you're on-the-go. You can also angle the ring handle and prop the mirror along it's flat edge to keep it standing. Not happy, it’s hard to see my face in this mirror. 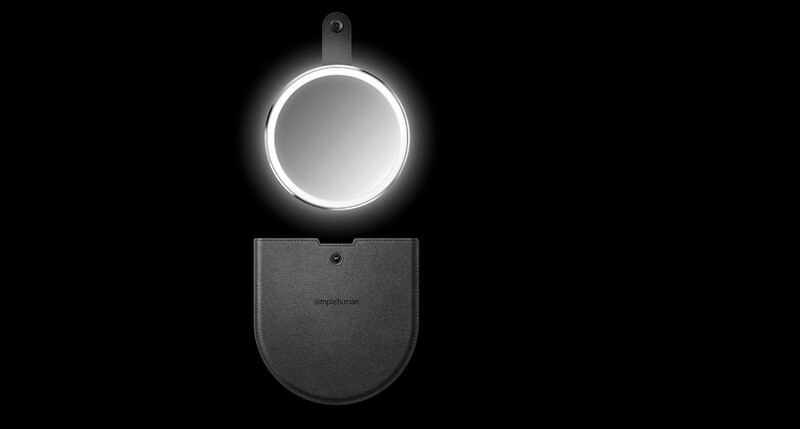 Our sensor mirror compact was designed with a 10cm diameter and 3x magnification to offer an exceptional view of yourself in incredible detail while on-the-go. We recommend one of our larger mirrors for a full-view of your total look. Love this so much ! Also a great gift for your girlfriends! The concept is GREAT but for me I would have liked the Magnification more than 3X, that is way less then the travel mirror that has a 10x magnification. I was hoping I could just take this on overnight trips but with both mirror and magnification less it doesn’t work so well. I really love this mirror. It’s great for my travels. It’s also really convenient when I do my eyebrows. This compact is very pretty and works great. I'd like one in every color!! I bought four other mirrors before treating myself and buying this one. It met all my expectations. I use it on a daily basis for applying brow filler, eye shadow and liner. It has just enough magnification without distorting my face. The light is absolute perfection. The light last about a week and has a subtle red light that comes on when it needs a charge. Treat yourself and buy this mirror...today! Love it! A little pricey, but very genius in technology. I can use it to find something in my eye such as a hidden eyelash quicker than a regular mirror. I would’ve purchased the desktop mirror, but steep for my budget. Love everything about this mirror except the degree of magnification. Needs to be at least 5 if not higher. Thank you for your feedback. 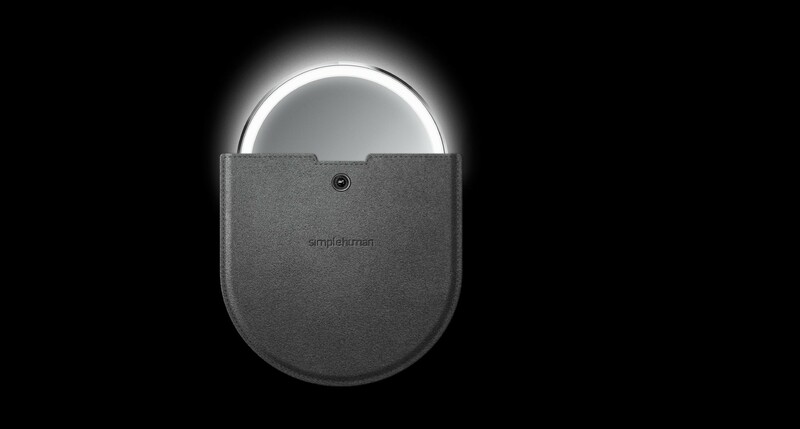 Our compact sensor mirror is designed for those on the go. The 4 inch size keeps it on the smaller size and the 3x magnification allows for a perfect balance between hyper-clarity and an overall view of your entire look. We also offer other mirrors with greater magnification options but those are designed for desktop/countertop use. 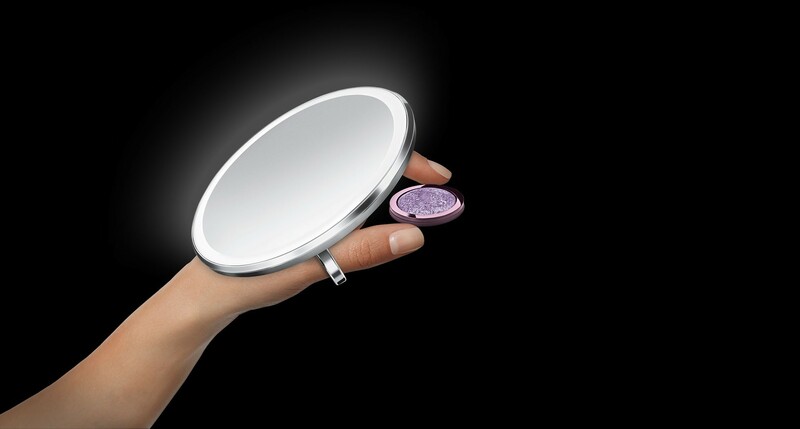 The compact mirror is fabulous I love the love but not too happy with the magnifying effects should be power down a little but overall it’s a nice mirror oh I don’t like the fact that the power adapter is not included that too much monies to pay and not include it. 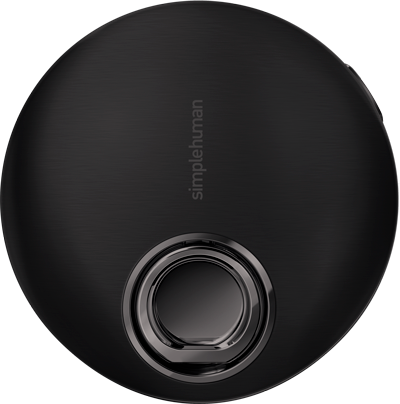 Our sensor mirror compact was designed with a 4" diameter and 3x magnification to offer an exceptional view of yourself in incredible detail while on-the-go. In an effort to be more eco-friendly, we decided not to include a USB wall charger with this mirror. The mirror's micro-USB cord is compatible with any universal USB wall charger which are commonly used with smart phones and other rechargeable products. Simply amazing... brought it with me on a holiday to Asia and it came very handy when on the go. This mirror is perfect for ALL my needs. I travel a lot so it's easy to take in my carry on and to use when I arrive at my destination. I also use it at home in my bathroom for my eye make up. The magnifying power is perfect for me. ... I love how it feels inny hand. Its very elegant looking and yes the clarity is superb.